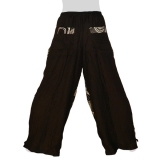 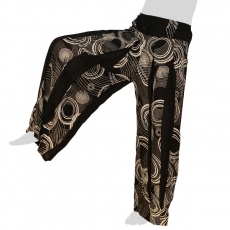 A fancy thin, black and white summer pants made of 100% rayon with chic, sewn, perpendicular black wrinkles, which interrupt the very interesting "Motion-Sound" pattern, and make the pants comfortably wide. 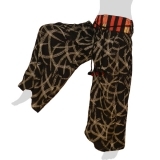 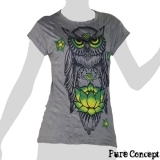 On the back the pants are black, only the 2 back pockets have a border with the pattern of the front side. A rubber band is embedded in the back.